Two months, twenty-eight days, nine hours and twelve minutes ago, Sally Simplesmith’s life changed forever, when she came face-to-face with death—a delightful, dearly departed little dog she lovingly calls Bones. But when the cadaverous canine is accused of a crime he didn’t commit, Sally must solve the case herself. Does she have what it takes to fetch a thief? 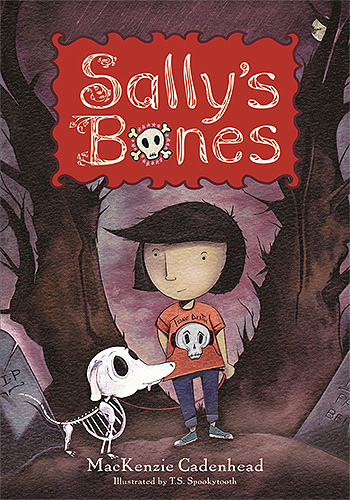 Sally’s Bones is the impossibly possible tale of a girl, a crime and a falsely accused, lovable lifeless, decidedly dead dog.